Friday nights in the UK used to be an enormous sigh of relief. That time when you could shrug off the working week, wander over to the local pub flop with a drink whilst they rustled up the best fish and chips you could buy. The last few Fridays have felt a little like this with the exception that there is no local pub to wander too and I make home made pizza instead of fish and chips. The other good thing about Friday’s now is that it’s the day I can plan what we might bake at the weekend. MT made a ginormous cake a couple of weeks ago and it’s still going strong for his lunch box each day. It dawned on me today I’d not blogged about it. In fact, I’ve not blogged much at all this week. A combination of cold, dark nights and not enough brainpower. Work has continued at full on pace but there is light at the end of the tunnel now as I shift a gear into a new home based project next month. But back to baking. Fruit cake is MT’s signature cake – we delved into our Treasury of New Zealand Baking and found the perfect version for him to try. 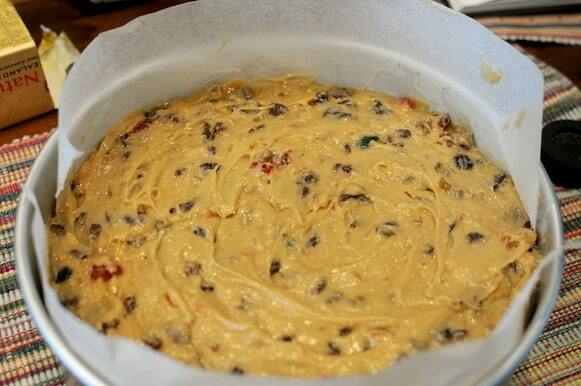 Dale Ale Fruit Cake. I guess you could see it as a real blokes cake. 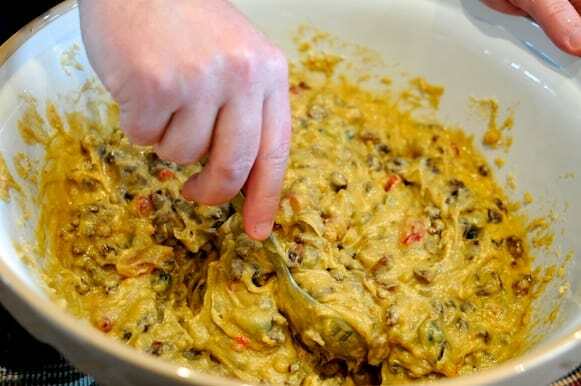 Although it does require the gentle tough at the start as you rub the flour and butter together, a little like making crumble before mixing in the fruit and wet ingredients. I was alarmed to see the amount of cake mixture for this cake – it uses 1.25kg of fruit – so delved to find the biggest cake tin we had. It was smooth and golden. The beer really gave it a mellow kick.I was so tempted to dive in even before it went into the oven. This cake baked for an age at a very low heat – I kept checking the book to see if it was a typo and still not convinced it’s not. It took 4 hours to cook but did fill the house with a wonderful aroma. It’s a moist sweet cake which is the perfect accompaniment to a large mug of piping hot tea. Also, its gargantuan size makes it ideal for lunch boxes as it will keep for ages. That’s if you have the self discipline not to scoff several pieces a day – very moorish. I’d hands down recommend you try this. It’s definitely worth the mixing effort. 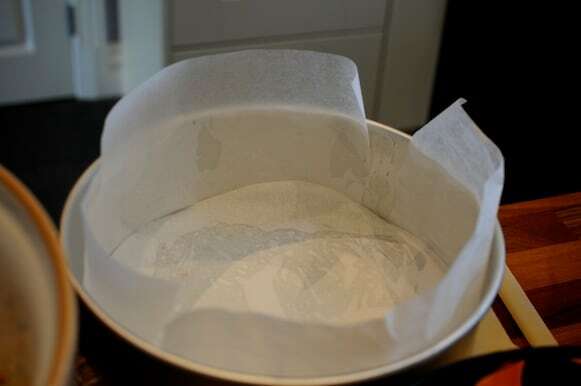 In your biggest bowl – rub the butter into the flour with your hands. Add the sugar, fruit and mixed spice. In a separate bowl – beat the eggs with the vanilla. Warm the dark ale in a saucepan gently, then add the egg mixture and baking soda. Mix the wet ingredients into the dry mix and combine well. Pour the mix into the prepared tin. Back for 3.5hours or until a skewer placed in the centre comes out clean and cake starts to pull away from the sides of the tine. Cool, cut, scoff and store the rest in an airtight container. 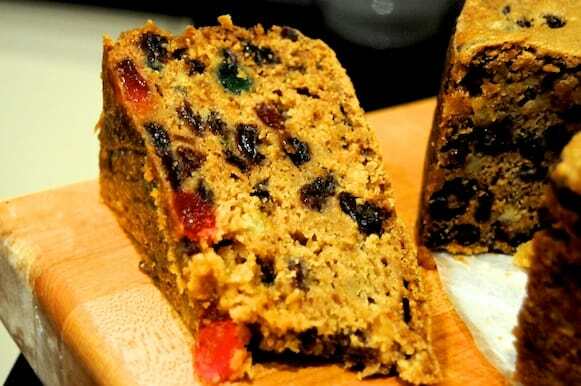 Looks like one we’ll have to try – we love fruit cake in our house. It defintely won’t last a fortnight. Can’t see my Martin making it though! 2) mixed fruit? what kind of fruit do you use? are you talking fresh berries like black berries, blueberries and such? Or do you use whatever you have on hand and is in season?